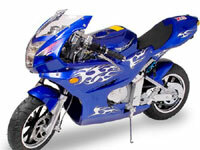 Find a full selection of OEM and Performance pocket bike parts for your project. Parts for 49cc "Cateye", FS509 type pocket bikes. 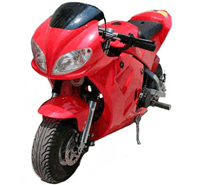 These bikes generally come with a 43cc or 49cc 2-stroke engine. 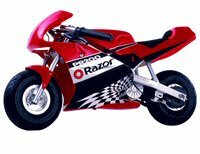 They were the very first mid-size pocket bikes to come on the market. X1 and X2 bikes will come with either a 43cc or 49cc engine. 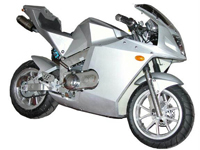 APC bikes will generally have a 43cc. Branded X1 and X2s will have 49cc engines. X2 bikes will have a CVT transmission. 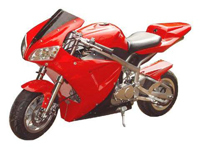 Replacement and performance parts for the X6 2-Stroke and 4-Stroke super pocket bikes. Parts for the X7, 2-stroke FS529 and 4-stroke FS529A Super Pocket bikes. Replacement and performance parts for the 49cc 2-stroke X8 mid-size pocket bike. 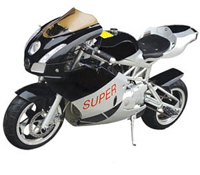 Replacement and performance parts for the X12 4-stroke 110cc super pocket bike. 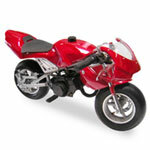 Replacement and performance parts for the X15, X18 and X19 super pocket bikes. Also known as the GS57(X15), GS59(X18) and GS60(X19). Replacement parts for the Razor brand Pocket Rocket, PR-200 electric pocket bike. 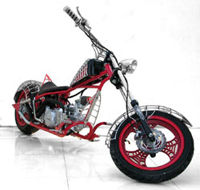 Pocket Rocket batteries, chain, battery chargers, chain drive rear wheel assembly, controllers, tires, innertubes body parts and much more. 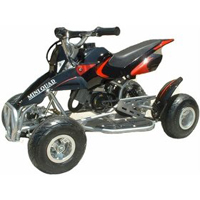 Replacement and performance parts for 2-stroke 47cc and 49cc mini-pocket quads and atvs. *Note: These 4-wheelers use the same engine as the 47cc and 49cc Cag and Daytona style mini-pocket bikes.